The Division of Kooyong is located in Melbourne’s eastern suburbs. 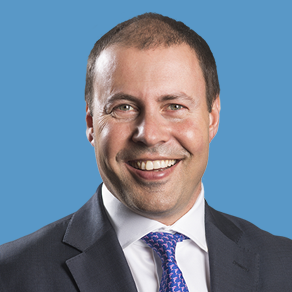 It covers an area of approximately 52 sq km stretching from Kew and Hawthorn in the west to Balwyn and Canterbury in the east, and from Balwyn North in the north to Hawthorn East and Camberwell in the south. 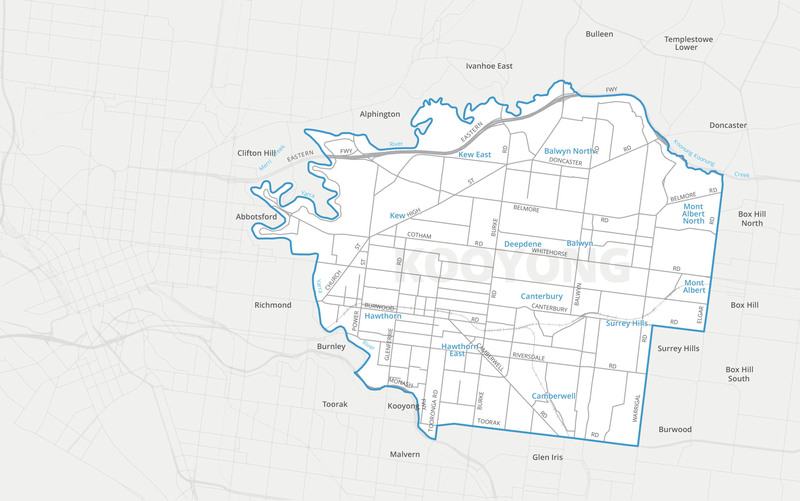 Kooyong suburbs include Balwyn, Balwyn North, Camberwell, Canterbury, Hawthorn, Hawthorn East, Kew, Kew East, Surrey Hills (part), Mont Albert North and Box Hill North. Kooyong contains a number of Melbourne landmarks including the Yarra River, beautiful parks and gardens and important architectural examples chronicling the history of Melbourne. It also possesses one of the highest concentrations of schools anywhere in the country. There are over 145,000 people living in Kooyong. We have 55 schools and 35,000 students. Kooyong is also a business hub with more than 28,000 businesses. Named after the Aboriginal word meaning ‘resting place’. Predominantly residential with a number of major retail shopping strips.